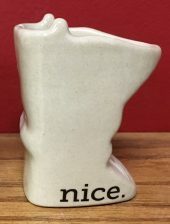 The 1 oz SotaShot honors the unique shape of Minnesota in a shot glass that is both functional and decorative. It is also the perfect size for a toothpick holder. A must for every kitchen! 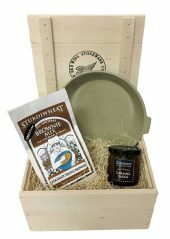 Bake delicious breads, cinnamon rolls, quiche, or medium size deep-dish pizza in this beautiful round baking dish. 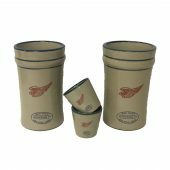 Like all of our stoneware pieces, this item is dishwasher, microwave and oven safe. 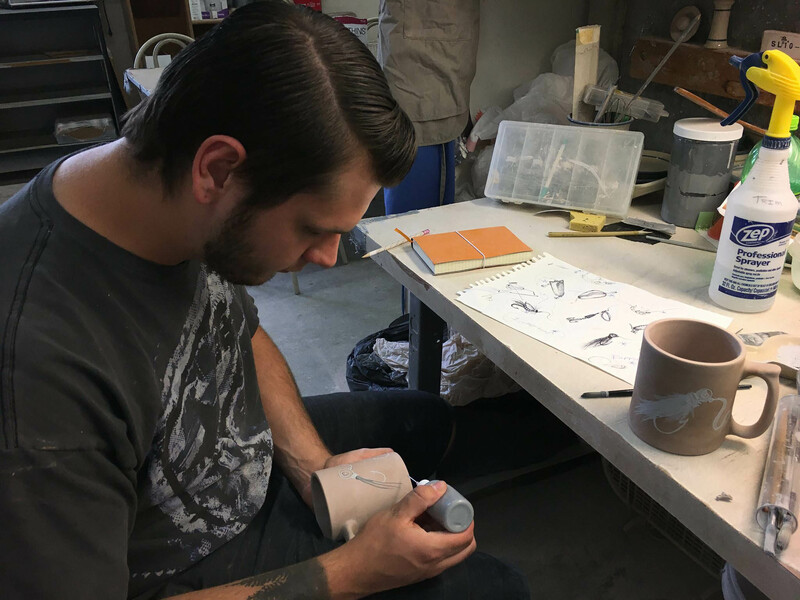 This beautiful one of a kind crock was hand painted by our Artisan Evan. 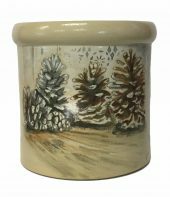 The pine cone scene will be a favorite for the holidays but will fit in all year long. The back has our standard 2 Gallon Red Wing Logo. 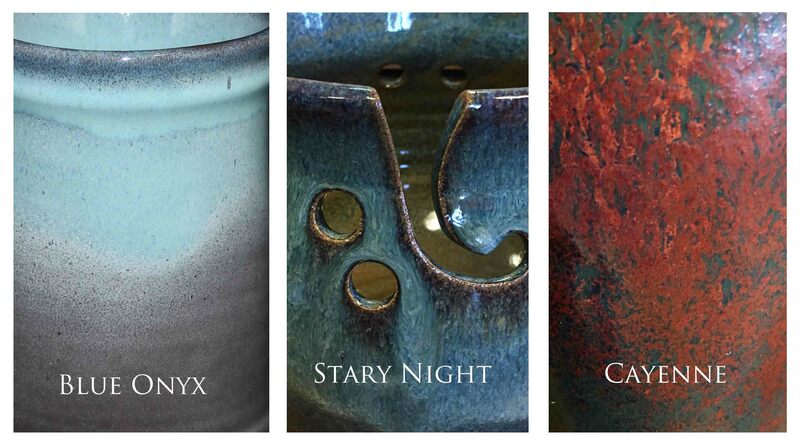 This is truly a one of a kind item – first come first serve. Evan & Todd are shown above with a couple of the hand painted crocks. 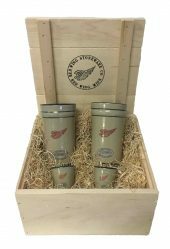 Gift ideas for the beer drinker on your list … The Pub Pint or Pilsner gift set of 2 will sure become a favorite. They keep your favorite beverage cold just like you want them. This is a really nice gift idea for bread bakers. Enjoy a perfect loaf of bread with this beautiful 1-Pound European Bread Baker. 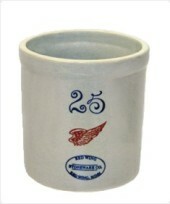 The bread baker will be our standard Red Wing decoration. 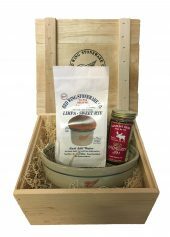 In this package you will also get to choose a bread mix made by Sturdiwheat Foods & a Gunflint Trail jam flavor. 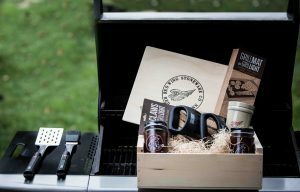 Add on a Red Wing Stoneware towel for that finishing touch. It makes for a thoughtful and decorative gift for that bread baker in your life! This can be a really nice gift idea for budding bread bakers. Enjoy a perfect loaf of bread with this beautiful 1-Pound Standard Bread Baker. You have 5 color choices to choose from. 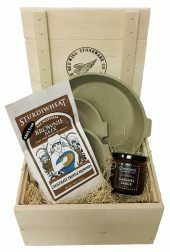 In this package you will also get to choose a bread mix made by Sturdiwheat Foods & a Gunflint Trail jam flavor. 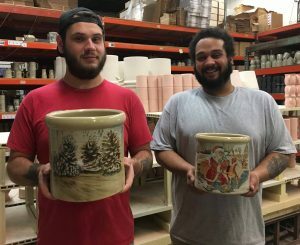 It makes for a thoughtful and decorative gift to get a newbie baker off to a great start! 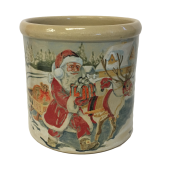 The #25 Candy Crock is our most popular small replica crock. Everyone wants to know the significance of the 25 on the crock. 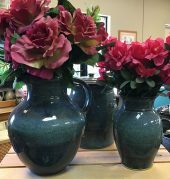 It is our decoration that represents the old 25-Gallon crocks used for years to store a variety of food in the cold cellar of the house or grains and feed in the barn. Today you can use it in the kitchen, office and around the house as a decoration. It makes a perfect pencil holder! 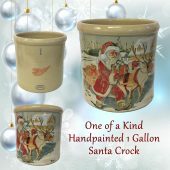 This gift begins with the #25 Candy Crock, it is our most popular small replica crock. 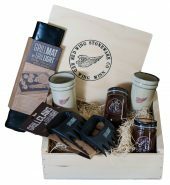 With the Mini crock and the toothpick holder (Red Wing only) you have a nice little set. 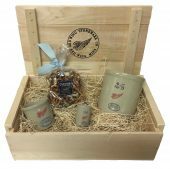 Make it a tasty treat by ordering the Deluxe box that includes Groveland Confections sweet and salty Moose Crunch mix. Groveland Confections is a small confectionery located in Minnetonka MN that handcrafts all of its confections in small batches from the finest ingredients. 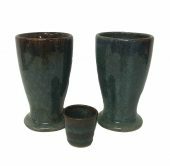 Coffee Lovers: Wake up to a great cup of coffee in a hand crafted stoneware mug and our very own custom “Potters Blend” coffee. 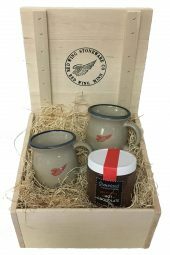 Coffee Deluxe – 4 classic red wing mugs and a 12 oz. 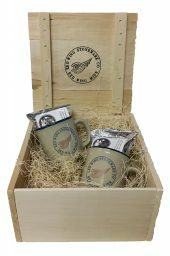 bag of coffee beans in our Potters blend brand is included. 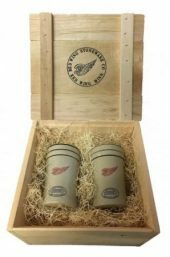 Two classic red wing mugs and Two 2.5 oz. bags of coffee in our Potters blend brand is included. 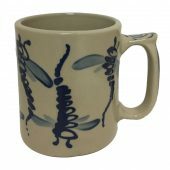 Styles: Crock Mug, Water Cooler Mug or Tulip Mug with the Red Wing decoration. 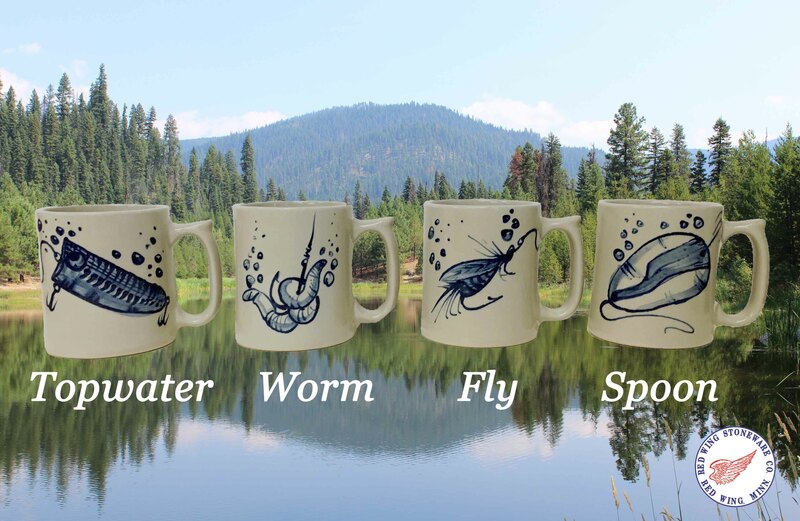 It will be a warm Christmas for the recipient of this gift as they sit back and relax while these artistically crafted cappuccino mugs keeps drink of choice warm and steamy. A 12 oz. 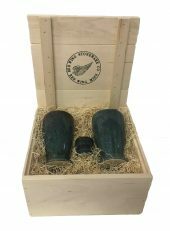 bag of coffee beans in our Potters blend brand is included. Add on a Pour Over Filer for a nice little set. 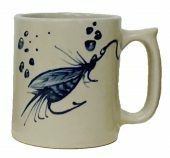 Place this stunning pour over filter on one of our mugs, add a cone coffee filter, grounds, and hot water. Wait as the water trickles through the filter, making superbly delicious coffee. Remember: good coffee takes time! 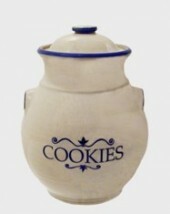 Cookie snatchers will find this cookie jar irresistible. 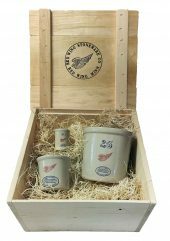 Fill it to the brim with mouth-watering cookies and listen for the gentle clang of the lid as the freshly baked treats disappear. 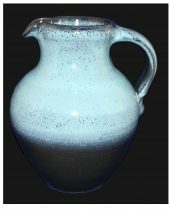 This gorgeous hand thrown pitcher will be an eye pleaser on your table. 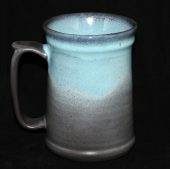 Use it for your favorite beverage or as a display piece. 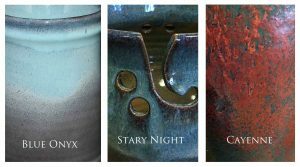 Our beautiful hand thrown Heart Shaped bowl makes a perfect gift for that special someone. 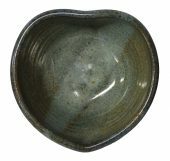 This Heart Shaped Bowl is hand thrown by Matt and is available in Stary Night or Cayenne glaze. Relax with a tall cold beverage after a long day or a workout at the gym. This generous 28 oz. 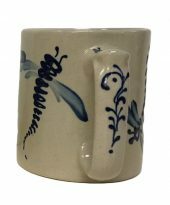 stoneware stein with large loop handle will surely become one of your favorites.